Every Sunday God is sending new people to PCC - people who are desperate for help, for healing, for salvation, and for deeper understanding. God sends them to our church because He KNOWS they will receive help here. For this I feel privileged. I still attend a couple of small groups during the week. I am very pleased at the depth of Biblical discussion that takes place among group members. Plus, it is very encouraging to see the depth of fellowship and strength of bonding taking place. Last night I stuck my head in a class being taught by Cathy Denny, our children’s ministry pastor/director. I regret interrupting the class, but was very pleased at what I witnessed. It looked like there were about 12-18 children sitting at the tables, Cathy was teaching, and I heard one of the kids answering questions about the Bible. The way this child was articulating his answer almost floored me! I mean these are elementary aged kids and they are learning real Bible stuff! Renae told me some things about the teenagers who are currently away on Youth Camp. She said the leadership potential in these teens is enormous. Furthermore, these teens are expressing a desire to be leaders in the church. She said the teens are teaching the adult chaperones (in the teaching sessions) as much about the Bible as the adults are teaching them! Who knows, the future pastor of Pace Community Church may be one of our current teenagers. The day will come when God is through with me here, and I’m sure He has a successor already in mind. My eye will always be open to ascertain if that person currently attends our church. Footnote: Renae’s birthday was yesterday and the teenagers threw her a surprise birthday party; lots of nice gifts, including a years-supply of OREO’s. Our summer Foundations Classes are a home run! Those attending are having a knowledge-gap filled, plus the three teachers and doing an exceptional job. This is a win-win situation for everyone involved. Attendance in the second service is way up. It looks like this service is here to stay! A lot of newcomers are finding their way into our church through this service. Plus, it is beginning to take on a life of its own - we have actually formed a second “congregation” in the 11:00 hour. Our paid staff, (Gene, Renae, & Cathy) have got to be some of the best staff members to be found in any church anywhere. Our unpaid staff, (i.e., ministry leaders, directors, etc), are just as exceptional as our paid staff. I don’t know what we would do without them. Our church volunteers are really the ones who make it happen. It takes a lot of personnel to pull off our weekly responsibilities, and our volunteers are first-class. Morale is higher at PCC than it has ever been in our ten-year history. We have experienced “the day of small beginnings,” growth, conflict, purging, and pruning. Now we are in a season of renewed growth. The people who are with us right now have truly been “sent of God” and will take us to the next level. I cannot tell you how happy I am. We need to hire additional staff… yesterday. If we had the moo-la to do it we would hire for two positions: a full-time secretary (or administrative assistant type) and an Executive Pastor/Discipleship Pastor. Our attendance has remained consistently strong all summer long (in the 400-450 range - with a couple of Sunday’s that dipped lower). After school starts and all the summer travel is over, we anticipate our attendance to jump about 100 every Sunday. This week we sent out a stack of follow-up letters to visiting guests that was one of the largest ever. Better yet, most of these letters were to 2nd and 3rd-time visitors. It is always a good sign when people are returning for a second, third, and fourth time. We have a “benevolence ministry” being headed up by Donna Kramer. This ministry is a response to, or a follow up to, any deaths or major crises occurring in our church family. What this has done to lighten the load of your pastor and staff I cannot say. More importantly is the fact that this person is performing in this ministry capacity in a way that is very, very effective. She is “on top of” things when they occur. Better yet, she really has a heart and passion for hurting, grieving people. 1. They got caught in a severe lightning storm yesterday. It lasted about two hours and they had to run for shelter. Very severe she said. 2. She told me how well-behaved the teens are. Everyone is getting along. Just a good group of kids. Very proud of them. 3. There is a sincere desire in the heart of these teenagers to draw closer & nearer to God. She said it is a wonder to witness this in these young people. 5. Not getting enough sleep. 13 The hireling flees because he is a hireling and does not care about the sheep, (John 10:13 NKJV). In Biblical times, being a faithful shepherd meant a willingness to lay one’s life on the line to protect the sheep. Robbers and wild animals, such as wolves and bears were a constant danger. An intimate and mutually beneficial relationship was often formed between shepherd and sheep as they lived together in the countryside for long stretches of time. Opposite of a good shepherd is the HIRED HAND, or the “hireling.” He is one who does not have actual ownership of the flock, and therefore does not possess a deep love for them. Rather, he works for the wages. Since money is the strongest connection he has with the flock, he is quick to flee when danger arises. When the wolf comes he leaves the sheep and flees, and the flock is scattered (v.12). The hired hand symbolizes the type of pastors and other church leaders who are really false shepherds. They serve only because they are paid to do so. Or either there is some other self-serving interest such as prestige, power, position, or title. They are like mercenaries, doing ministry not for the love of souls of men or even love of the truth, but for money or carnal ambition. Therefore, they will flee at the first sign of threat to their well-being. They will quit or walk away from the flock when ministry hardships arise. They will look for a way out when frustrated. They will jump to another "job" when a better "offer" is made. Their overriding priority is self-preservation, and the last thing they are willing to do is sacrifice themselves for anyone else. Speaking to godly pastors, the apostle Peter wrote, “FEED the flock of God, which is among you, TAKING THE OVERSIGHT thereof, not by constraint, but willingly; not for filthy lucre (money), but of a ready mind” (1 Peter 5:2). It is a good thing to recognize the difference between the two. SPIRITUALLY FAT. Some sheep are spiritually fat and so well-fed that they now loath the same old meals that brought them health and prosperity in the first place. Such sheep develop a caviar appetite and are always in search of something new and exciting – an unidentified “something more.” Usually bored, these gross underachievers are easily enticed to transfer their membership to greener pastures by the promise of new, deeper, and more fulfilling experiences. THIN & STARVING. Some sheep are thin and starving because they are devoid of God’s Word and growth opportunities. The root cause could be a lack of Bible study opportunities, outreach ministries, small groups, or volunteer opportunities offered by their church. However, their spiritually starved state can most often be attributed to their own lack of exercise and appetite. They expect others to do it all for them. At a time when they "ought to be teachers” themselves (Hebrews 5:12-14), they are still depending on others to spoon feed them. Such sheep are easily wooed away from their churches by offers of other shepherds to address their most basic needs. BLACK SHEEP. These sheep are consummate malcontents who are always testing and challenging pastoral decisions, points of theology, policy, procedures, or any other issue that can create controversy. Perpetually ready to escape from their current shepherd, these sheep live in a world of continuous wandering, church hopping, church shopping, and lust of roaming. Typically, they will have a long string of churches in their past that they have previously left because of conflict. DUMB SHEEP. Dumb sheep are easily influenced and will simply follow other sheep in the flock. They are mesmerized by the opinions and actions of others. Not strong enough to take a stand of their own, they seek security in keeping in line with the latest trends of a group. They live on the outer fringes of the flock, where they don’t have to engage themselves in any of the issues within the church, and are therefore quick to abandon the flock simply because others are doing so. SHEEP LIKE THESE (listed above) ARE EASY TO STEAL or to LEAD ASTRAY and often BECOME CAUSALITIES. GROWING, HEALTHY SHEEP. Finally there are the sheep in the flock that are growing, healthy, and have no quirky disorders. They are solid and stable because they press in close to the interior of the flock, accept the wisdom of others, follow their leadership, listen to their shepherd, are not easily offended, feed in pastures where they are led to, study their Bibles and form bonding relationships with other sheep. Jesus said when a shepherd is leading a flock of sheep “the sheep will follow him because they know his voice… and will not follow the voice of a stranger” (John 10:4-5). These sheep eventally grow up to the point where they begin to reproduce themselves - as sheep should. Sheep give birth to sheep - shepherds don't, sheep do. They produce healthy offspring, just like themselves. The flock increases, grows, and advances the kingdom of God - one life at a time. They remain sweet in their spirit, are content, and are "restored in their soul." Aimless wanderings are not part of their demeanor, they "lie down in green pastures" and find rest (Psalms 23). It's almost impossible to steal, or lead astray, sheep such as this. Blessed is the church that is full of them! It astonishes me when I hear people talk bad about larger churches by saying, “All they care about is numbers” or some other nonsense like that. How many years have you been married? Ten, fifteen, twenty-five, forty? Do those numbers matter? How many children do you have? Do all of them matter? Over six million Jews were murdered by Adolph Hitler. Do they matter? At least 200,000 people have been killed and another 500,000 have been displaced in Darfur, Sudan by the Janjaweed militia and a corrupt government run by religious extremists. Do they matter? In the next 24 hours, over 30,000 human beings on this earth will die because they did not have sufficient food to eat or clean water to drink. Do they matter? 50,000 people (plus) were killed in China by the recent earthquake. Do all of them matter? The same people who say the numbers don’t mean anything when it comes to evangelism and missions, (which results in church growth), are often the very same people who DO NOT HAVE any substantial NUMBERS to rejoice about. A church I know of in South Carolina just baptized 400 people? Do they matter? There are two billion people on the planet who have never heard the gospel? Do they matter? Yes they matter. Every last one of them! Please stop saying that numbers don’t matter - because they do. People are made in the image of God, and God so loved everyone of them that He sent His only begotten Son so that they might have eternal life. Headed to camp - Lookout Mountain TN. This is about 1/3 of PCC's teens. Not everyone was able to go... for those who were, we are praying for safe travel and spritual renewal. My dentist visit. I had a new crown put on last Thursday. Actually, the dentist had to replace a crown that was put on about twelve years ago. Get this, he uses a drill to create a cut down one side, over the top, then down the other side. Next he gets a pair of pliers and CRACKS the crown off in bits and pieces like it was an acorn! His fingers were in my mouth, I was slobbering like a bloodhound and he asked me if it hurts. This was about as much fun as an IRS audit. Running Shoes. I was putting on my shoes in the garage last Tuesday to take a morning run. I always check them for spiders before I slip them on. I put my hand down inside the running shoe and felt something warm, soft, and wet…. Then it started moving. It was a toad. I squealed like a girl. Football & Plasma. Football season is just around the corner. All I’ve got to say is: this year football will be watched in the Christian residence on Plasma HD TV. Thank you Mr. Bush. Exercise. I’ve stepped up my workouts and having been doing a lot better on my eating habits too. I feel like I’m really in the zone right now. Youth Camp. The teenagers of PCC will be away at youth camp this week. Please pray for them – safe travel and for spiritual renewal. Music. I introduced my wife to the Allman Brothers Band a few weeks ago. She likes them. Their decade of greatest hits was from 1969 to 1979. There is a reason why music from that era is still with us today…. it was well-done, had actual harmonies and a discernible melody line. The guitar riffs were outstanding, and the singers could actually sing. I’m still digging Statesboro Blues, Rambling Man, and Whipping Post. Really Neat People. There are some really neat people attending PCC right now. It is so much fun for me to meet new people each week; I really like it. I stand out in the atrium attempting to meet as many as possible. I’m loving the diversity too. We have young & old, in-between ages, and different ethnicity's. Some of these people have been sent to us by God that we might help them. Others are sent by God that they might help us – and they are. I’m especially enjoying making new friends right now. It feels fresh. There’s a clean-slate to start with. There is no reason why anyone in our church cannot have good friends and positive relationships – there are so many people to choose from. Highway Accident. I was on East Spencer Field Road Friday when I came upon an accident. Apparently an SUV ran over a guy riding a bicycle because I could see the bicycle under the vehicle. It was twisted up like a pretzel. I don’t know what happened to the rider; and still haven’t heard. This kinda freaks me out, given I ride a bicycle myself. Church was packed today. It’s the dead of summer and attendance has been very strong all summer! The number of visitors still amazes me. I can’t figure it out. It has to be a God-thing. Commitments. Five people made a life-changing commitment to Jesus Christ today. I think that was the same number as last week. I’m amazed at the frequency this happens at PCC. It lets me know that God is at work. He is working in the hearts of people prior to their attending our services. Once they get here and are simply given the opportunity to respond, they do so. It’s not about having a slick program or a dead one – it’s about letting God do his work; which He does. We had another group of people express interest in small groups, and/or Bible classes. God is really doing something here. I can feel the barometer rising and we’re fixing to have a breakthrough. Postings this week. Be sure to check in regularly this week. 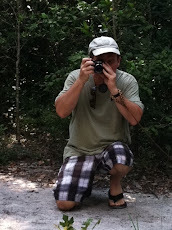 I plan to be pretty active on my blog. Got some things to say. And you thought you had a bad day. We've had 500 hits in three days. I wonder what's up. I think this advertisement lacks proper motivation. Don't you? Right now in America is one of the MOST EXCITING TIMES to be part of the church. The ability to REACH PEOPLE is GREATER than any other time in history. The opportunities have never been better. God is moving today like never before, and He has called us to be part of the movement. God has placed PCC here for such a time as this! Yes we do - but probably not in the way you are familiar with. We have deacons (as defined by the Bible), but we do not have a deacon board. The word for “deacon” in the Bible is the same word as “servant” or "waiter." In the Bible these individuals liberated the apostles from direct involvement in congregational care, such as the daily administration of food to widows and the like, in order that the apostles and teachers might be freed up to teach the Word and lead the flock (see Acts 6:1-7). Deacons served as assistants. They were not called to supervise pastors, but to “wait on tables," and provide various forms of congregational care. Deacons are under the oversight and authority of pastors, and the office, in itself, carries no authority beyond its immediate assignment. There are no specific, on-going roles specified or defined in scripture for deacons, rather they served as needed. Thus deacons in Pace Community Church are equated with ministry leaders, ministry servants, and small group leaders. A ministry leader or small group leader is simply a servant (deacon) who is actively involved in real, hands on ministry that provides some type of congregational care, pastoral care, visitation, helps, or administration of a specific ministry in the Church. Ministry leaders, ministry servants, or small group leaders (deacons) are not elected positions. They are appointed by the Pastors of the Church (see Acts 6:3), on the basis of need and upon their unique giftedness for the task. There can be no limit to the number of ministry leaders or small group leaders (deacons), as this is dependent solely upon the Holy Spirit's disbursement of spiritual gifts in the Church. Additionally, by using this Biblical role of deacon (rather than a denominational or traditional one) we have created opportunities for women to serve in this capacity - such as Pheobe in Romans 16:1-2, (servant - diakonon). We have long been taught that the New Testament does not show women in this capacity (woman deacon, or deaconess) and that God does not want women to be involved in the ministries of the church. However, this verse, which has either been poorly translated and interpreted, or ignored, lies like a little jewel in the Word of God and affirms women in their service to God. It says that Phoebe was a servant (diakonon, which means deacon) of the church at Cenchrea. Further still, the following passages, (Rom. 16:3, 12; Phil. 4:2, 3; 1 Tim. 3:11; 5:9, 10; Titus 2:3-4), makes it evident that females were engaged in various Christian ministries. Rather than meeting to make administrative decisions (on a bureaucratic committee), our deacons are WITH PEOPLE and MEETING NEEDS every week! And that's one of the things that makes PCC such a great church. I Timothy 3:8-10 (NIV) 8Deacons, likewise, are to be men worthy of respect, sincere, not indulging in much wine, and not pursuing dishonest gain. 9They must keep hold of the deep truths of the faith with a clear conscience. 10They must first be tested; and then if there is nothing against them, let them serve as deacons. We are going to a whole nutha level! I had a good workout yesterday. Still working on my bikini bod. You’ve heard of continental drift? Well, I think that is happening to me. It seems like things on my body are moving into new locations – places they are not supposed to be. Got up and took a run this morning about 7:00 AM. After that I went to Starbucks, bought a cup of coffee with a gift card given to me by SK & DK, and read the morning paper. Good way to start the day. I’m thinking about buying a generator and 3 window air conditioners. All these storms popping up in the Gulf has got me kinda freaked out. I want to be ready should a hurricane hit our area again. I know one thing – I’m not going to endure 2 ½ weeks of no power and no a/c again. I’ll go into hock if I have to. I never go to public pools and water theme parks. Swimming in a soup of other peoples DNA is no fun to me. The next time I want to be marinated in a stew of scabs, staph, and missing Band-Aids, I’ll go to a water park and pay $50 bucks for the pleasure. Before I met Christ, phonics was about the only thing I wasn’t hooked on. Since my wife won’t allow me to get a tat, I’m thinking of taking a parachute jump. I was 20 years old when I last jumped and would like to try it again. I need to get my heart racing. I bought a Jethro Tull CD the other day. I still get into Locomotive Breath. An empty nest is in our future. Works for me! I am experiencing spiritual warfare right now. Have been for a while. This is to be expected and I welcome it beause it means the devil is ticked off! I can deal with it too - because I know people are praying for me and I’m grounded in the Word. Saw Batman. Good movie. What I like about the current Batman character is that he has no “super powers” but still takes care of business. Heath Ledger (the Joker) was everything you have heard. We have a cat. While I’m not physic or anything, I have a feeling it’s going to come up missing. Renae is going to be gone next week to youth camp with the teenagers. I’m already having withdrawals. Can’t wait for her to get back and she hasn’t even left yet! Hey, I know. Maybe my two boys will come up missing along with the cat. I thought I saw this picture on the wall of a post office with the word "Wanted" at the top. Click on each picture to see an enlarged view. Leadership is needed in every theater of life; family, work, government, community and nationally. Godly leadership is needed in the church too. There is even a spiritual gift of leadership (see verse above). Here are ten rules of leadership I have learned and live by. 1. Always maintain your integrity and character. This will give you courage when tough decisions are called for. A clear conscience is a formidable force to be reckoned with; something your opponents need to learn. 2. Stay in top physical shape. It is the best way to maintain mental toughness. 3. Be tough and never give up. Never run - ever. 4. Give credit to others when things go right. Accept responsibility when things go wrong. 5. Never apologize for taking a stand. 6. Never allow critics to cause you to doubt yourself. 7. Imagination and creativity are essential to planning new initiatives. 8. Plan your work and work your plan. 9. Anticipate problems and have a fall-back plan should problems arise. Don’t wait until you are in the middle of a crisis before you make up your mind; you will look dumb and indecisive. 10. Live very close to God. There will be times when He is the only One you can talk to, or who will understand. I've got some things hot off the burner that I can't wait to post. I'll post later today or first thing Tuesday morning. Notice the counter? It's about to go over 15,000. I'm having some computer issues right now - it will take a day or two to resolve. Today our Grounds Team put forth an extra effort at beautifying our campus. They worked very hard in the heat for five hours - but the end result was worth it. Our grounds look very good. We never want to allow the PCC campus or building to fall into neglect. After all, it's God's House and we want to honor Him with a standard of excellence in all we do. Pictured: (L to R) Stan, Paul T., Paul W., Shirley, Patrick, Ron B., Edgar, Robert, Ann, and Rick. Not pictured: Renae, Cindy, Beth, and Butch. 2 Timothy 2:15 (KJV) STUDY to shew thyself approved unto God, a workman that needeth not to be ashamed, RIGHTLY DIVIDING the WORD OF TRUTH. The other day I was attending ministry event being conducted by our church, when I walked by a group of people who were sitting together and having a conversation. As I walked by I overheard some of the content of what they were talking about – PREDESTINATION. It was apparent to me that these people took great issue with the ideas of predestination, unconditional election, and limited atonement. 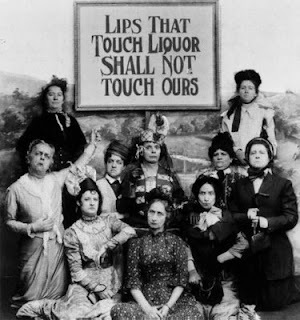 Judging by the tone of their conversation, they believed theses doctrines to be highly offense. Listening further still, I was also able to ascertain that they also have a solid foundation and full grasp on Biblical truth when it comes to the doctrines of salvation, the sovereignty of God and the free will of man. They were quoting scripture, cross referencing with other scripture, and using their powers of reasoning to promote truth and expose error. Needless to say, as a pastor I was delighted to hear this because it confirmed for me that the people of PCC are well grounded in God’s Word. They have STUDIED to show themselves APPROVED of God, are NOT ASHAMED, and know how to RIGHTLY DIVIDE the word of truth. In Ephesians 4:14 (KJV) the Bible says….. That we henceforth BE NO MORE CHILDREN, tossed to and fro and CARRIED ABOUT with EVERY WIND OF DOCTRINE, by the sleight of men, and cunning craftiness, whereby they lie in wait to deceive. I’ve just got to say we have an amazing youth department right now at PCC. Attendance among youth & teens is higher right now than it has been in our entire ten-year history – both on Sunday morning and Wednesday nights! For instance, on Sunday morning more and more young people are attending our adult service as well as the teen classes provided for them. These two events combined add up to an off-the-chart attendance! There is something about our weekend services that has a strong attraction for young people – which is something I am very pleased about. On Wednesday nights, we offer a youth service designed especially for teens. While attendance on Wednesday night is lower than Sunday, it also maintains a higher attendance (for a non-Sunday event) than it has ever been in our ten-year history. Of course, good things are happening in the LIVES of our young people right now too. Many have made commitments to Jesus Christ for salvation. I recently baptized several of our teenagers. Through solid Biblical teaching, they are growing in the knowledge of God’s Word. Others are committing to deeper life, service, and purity. Fellowship is strong among our teenagers as new friendships are being forged and deeper relationships developed – all in a godly atmosphere of Christ-likeness. Enthusiasm is high and there is a certain buzz in the house. Even some of the parents are reporting the changes in their children – and you know that has got to be a miracle in itself! 1. God is moving. “Except the Lord build the house, they labor in vain who build it” (Psalms 127:1). Does that need any elaboration? 2. We have entered a new season with spiritual fruit being produced by the Holy Spirit. 3. Effective leadership at the top. Renae is absolutely a natural at this and the teen department reflects it. Successful ministries or unsuccessful ministries are always a reflection of its leadership. Always. 4. The “right” ministry team who makes it all happen. There is a group of people right now who form the leadership team for our teen ministry. I’ve got to say that this group is one of the best teams I have seen at PCC in a very long time. i.e., They work tirelessly at anything and everything that needs to be done. They chip in their time, effort, and money. They are cooperative with each other and with their leaders. They like each other and are friends. They are raving fans of PCC, its mission, and are absolutely loyal. Plus, they don’t see teen ministry as a “stepping stone” to something else - they love what they do. Having the "right" ministry team is essential to success. Always. 5. A family atmosphere. It’s amazing to see the diversity of age-groups in this teen ministry. We have middle school aged kids, high school kids, graduates, and parents. You would think the kids would not like the adults hanging around, but just the opposite. They love it! 6. Exceptional teaching and teachers.. Your mouth would hang open if you heard these first-class Bible teachers. Not only are they skillful in the word, rightly dividing the truth, but their topics are relevant and practical for teenagers. If you know a teenager who could benefit from a program like this, tell them about PCC. Big things are happening. If you are a baseball fan then you watched Josh Hamilton of the Texas Rangers set a new single round record with 28 homers in the first round of Home Run Derby. Much more amazing is Josh Hamilton's story of how God saved him from a life of drugs and alcohol that almost ruined him. He said, "When I get the urge to have a drink or do something I'm not supposed to do, I think about what a hypocrite I would be to my Christianity and my sobriety." He continued, "My wife told me in the midst of my addiction that God was going to let me get back to baseball." 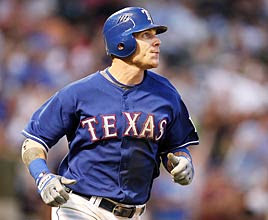 Then Josh Hamilton added, "Being able to share my story, that's what it's all about." If you want to read more about his story here is one version in the Dallas News. My favorite line of the night was from one of the ESPN announcers while Hamilton was clobbering homer after homer out of Yankee Stadium, "It's not a good night to be an atheist." Very soon I am going to have a confrontation with someone I used to be close to. This is long overdue and it is going to happen in a major way! I don’t mind saying that my hackles are up and I will not sit idly by while this person continues to operate with impunity. I hate this is going to happen. This is the ugly side of ministry. I don’t like to quarrel, but I am not afraid to do so when necessary. As a pastor, I believe that if I am not willing to fight for our church, myself or my family, then I am at the wrong place. As you can see, the sign is almost completed. The upper portion still needs to be painted, and raised lettering will be mounted in the routed areas. It is being completly fabricated off location, then will be installed as one complete unit. It should be installed on our church campus next Friday. Thanks to all of you who helped make it happen! “Oh that I were made judge in the land, that every man which hath any suit or cause MIGHT COME TO ME, and I WOULD DO HIM JUSTICE” (2 Samuel 15:4). Like a politician running for office Absalom made some grandiose campaign promises to all who would listen to him as he built a conspiracy against his very own father. These were promises he failed to deliver on - but he did a good job of impressing people. I have had people come to me who insisted they be appointed as an elder, pastor, board member, or whatever. Acting like a candidate for office, they jockeyed for position in a most revealing way – self-serving. When they realized they were not going to get their way they started behaving like Absalom – plotting an overthrow and making promises to every malcontent who they could gather. 1. Absalom doesn’t really care about you – only himself. He will use you to achieve his own ambitions. He needs you (and other pre-packaged followers) to validate himself and his cause because he is insecure. He lacks real faith in God to elevate him into the position he seeks – so he uses you. Should he get the position he seeks, he will soon forget about you and the promises he has made. 2. Absalom simply does not have the goods. Whatever he has promised, he cannot deliver on. He may promise you deeper life, deeper teaching, an open-door policy to hear your concerns, to do you justice, better church policy, or true revelation – but he cannot deliver on it. Know why? He doesn’t have the goods himself. If he did, it would be apparent to all. Instead what you will see and hear from him are promises – not results. He attempts to climb his way to the top by discrediting others. If he were truly chosen and gifted by God, those gifts would propel him into office. Instead, he clings to the coat-tail of another. 3. Absalom is doomed to failure. Any group birthed from the dishonest workings of Absalom will suffer failure. This is God's law of sowing and reaping. It should be noted that ABSALOM’S END came to him in a most REVEALING WAY. 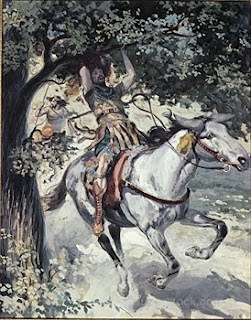 When he was running from the battle on the back of a mule, his HEAD got caught in a forked limb of an oak tree and he was left dangling there until he was executed. In the Bible, the word “HEAD” stands for AUTHORITY and LEADERSHIP, (i.e., Jesus is the “head” church, the husband is the “head” of the wife, etc). Absalom rebelled against his father David (his lawful head) and set himself up as the head of Israel, and BY HIS HEAD HE WAS JUDGED! (2 Samuel 18:9-18). If you know anyone who has fallen under the spell of Absalom's spirit but has now had enough, tell them you know a place where healing occurs. “For I brought thee up out of the land of Egypt, and redeemed thee out of the house of slavery; and I sent before thee, Moses, Aaron, and Miriam” (Micah 6:4). Now that’s a pretty impressive credential to have on your resume. But Miriam got into trouble with God for revolting against Moses when he married an Ethiopian woman (Numbers 12:1). Before this “WIFE” came along, Miriam was in charge. She was the “first lady” of Israel. No doubt Miriam got to sit in staff meetings with Moses and was included in the decision-making process. But now another woman gets to take care of Moses and she becomes jealous. She begins to complain, “Is Moses the only one that God speaks through? You should know that God speaks through me too” (Numbers 12:2). Miriam WAS a prophetess and God DID speak through her. But complaining and revolting against God-appointed leadership is so grievous that God got very angry with her. He called her aside and said, “Miriam, when I speak to prophets, I speak to them through dreams and visions. But when I speak to Moses I speak to him FACE TO FACE” (Numbers 12:6-8). And with this God said to her, “Why then are you NOT AFRAID to SPEAK AGAINST My servant Moses?” (Numbers 12:8b). Miriam had gotten too big for her britches… and now she is in big trouble. God gave her a fresh batch of leprosy so that she, and all Israel, would get the message that REBELLION, CRITICISM, and CONSPIRACIES are NOT ACCEPTABLE. Miriam’s skin turned white as snow from the leprosy. I can’t help but notice the poetic justice here (and perhaps even the humor of God). She got mad because Moses marries this dark-skinned woman from Ethiopia and God turns HER skin albino white! 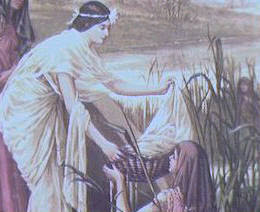 After this rebellion, we read little else about Miriam in the Bible and her godly role. She did not enter the promised land, and was buried in the wilderness. Thus ended the life and ministry of this multi talented woman of faith and courage. 1. No position you hold is for ever. You might be reassigned. 2. Organizations change, leadership structures are reorganized, and new people enter the picture. Deal with it. 3. Just because you are in the inner circle at the beginning, doesn’t mean you own it. 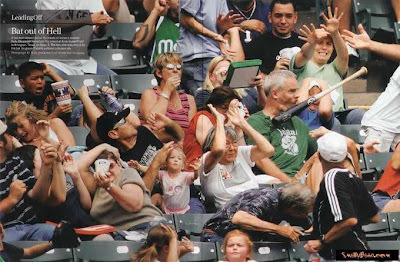 New people enter the picture. Again, deal with it. 4. What God is doing right now might “outgrow you” if you are not a flexible and growing person yourself – never become static or unyielding. 5. Rebellion and criticism are never acceptable, and you should be fearful of speaking against others. 6. Jealously will mess you up and will cause you to self-destruct. 7. Starting out well does not mean you will end well. You can lose your ministry and fall from God’s favor through this kind of sin. 8. Be careful what you complain about – you just might get more than you bargained for. 9. God sometimes uses poetic justice when He measures out chastisement. 10. As long as God wants Moses in position, no one can overthrow him. This story, like so many others in the Bible are for our strength, encouragement, and warning. One lady in our church is purchasing 60 (sixty) copies of a recent sermon, “The Great White Throne Judgment.” She is flying home (out of state) and wants to give one to each and every family member she sees! Never stop, never stop, never stop! Never stop inviting people to church with you. Never stop being a witness to unchurched people. Never stop being a light in a dark place. I must tell you, my passion for reaching people for Christ has never diminished after twenty-eight years of being a Christ-follower. In fact, I believe it’s even stronger today than it ever has been. Something sets my heart on fire when I see people, who are far from God, crossing the line of faith. When we started PCC in 1998 with seven people in my living room it was hard to imagine that we would reach literally hundreds of people for Christ over the years, and baptizing just as many. Here at the ten-year mark, I believe God is whispering to me that this is ONLY the beginning. God has “much people in this city” and if we will make ourselves the “friend of sinners” He will send us more than we can possibly imagine. I believe that Pace Community Church is being prepared (supernaturally & organizationally) to have a regular attendance of 1000 or more people each week. If you think I am interested in numbers, then you would be RIGHT! I am absolutely dedicated to seeing large numbers of people cross the line of faith and commit to Jesus Christ. I am interested in seeing large numbers of people growing in spiritual maturity. I am dedicated to seeing large numbers of weak marriages being put back together in the power of God. I have an unmovable, unshakable conviction about church growth – because Jesus wants His church to grow! I'm not asking you to get on a plane and take a mission trip halfway around the world so you can mix cement and stack block. I’m challenging you to walk across the street….. walk across the room…. pick up the phone…. and share your faith! Yes, we are called to make a global impact – but it NEEDS TO START with those who are CLOSEST TO US already – our family, friends, and those in OUR COMMUNITY. God loves the lost people of Santa Rosa County just as much as He loves the lost people of Tanzania or Kyrgyzstan! I refuse to reduce the Great Commission and Pace Community Church down to a small, select group of chosen disciples who sit around in a classroom having endless discussions about meaningless theological issues that will never be settled this side of heaven anyway. There is nothing greater than seeing the lost come to Christ (angels in heaven rejoice when that happens), and then watching that person grow in the knowledge of the Lord, then sending them back out to repeat the process all over again. I cannot, and will not, turn my back on lost people! PCC, we are not called to be like other churches! We must never stop sharing the good news of Jesus Christ with those who are far from God. I am more committed to seeing our Vision (stated in Seminar 101) come to complete fruition. I am more determined than ever to see our 20-20 Maturity Vision (stated in Seminar 201) come to pass. God has placed THIS CHURCH in THIS COMMUNITY for SUCH A TIME as THIS. Some people don’t want a big church. They want everything else in their life to be big – but not the church. They want a big house, a big car, a big truck, a big checking account, and big pay raise each year. But NOT THE CHURCH. They want it to be small – with small dreams, small plans, small visions, and with small people in charge. If that is the kind of church you are looking for, then PCC is NOT FOR YOU. There are multiplied dozens of small churches in Santa Rosa County for you to choose from – and nearly everyone of them is filled with as much bickering and in-fighting as our Federal Government in Washington DC! Heaven is probably going to be too big for some people. QUESTION: What kind of spiritual influence (do you suppose) is behind the reasoning that believes churches should remain small, isolated, and uninterested in evangelistic outreach? NEVER APOLOGIZE to anyone for DREAMING BIG. Big visions attract big people and big results. Never apologize for praying bold prayers, taking God-sized risks, and offending those who wear religious robes. LIFE is TOO SHORT and HELL is TOO HOT for us to worry about who likes us and who doesn’t! The souls of people hang in the balance. Never stop, never stop, never stop. The day always comes when people will leave you. People who you thought would be with you forever will sometimes bolt. No matter what the reason is for leaving, ultimately it is because they are NOT JOINED to you. If they are not joined to you, no one can make them stay. The Bible says, “They WENT OUT FROM US, but they were NOT OF US; for if they had been of us, they would have no doubt CONTINUED with us: but they went out, THAT THEY MIGHT BE MADE MANIFEST that they were not all of us” (I John 2:19). YOUR DESTINTY IS NEVER TIED TO ANYBODY WHO LEFT YOU. When people leave you, it just means their part in your story has now come to an end. They have a new chapter to write in their life, as do you. You’ve got know when it’s over. Good Services Yesterday. Kind of a meat-and-potatoes day. Good singing and worship. Started a new message series. Several said they were helped by the message. Attendance was very good. Three people committed to Christ (that I am aware of). Pool Party. After church we went to the home of Troy/Debbie Purvis for a teen pool party. Had a lot of fun. Great people, Troy and Debbie. They have unselfishly hosted these kinds of events numerous times for us over the years. I am still amazed at their kindness and generosity. Goodbye to Tildon & Teresa Chavers. Renae and I went to dinner with Tildon and Teresa Chavers last night to say goodbye. They are moving north of Atlanta – he starts a new job there. Pace High School has lost one of its best teachers, and PCC has lost a great kingdom worker. They will be missed. How would you describe your best friend? Your spouse? Your children? When we know people well, our descriptions of them are richer and fuller than when we know them only as acquaintances. So how would you describe God? Tomorrow we begin a new message series entitled “A Clearer Picture of God” that will provide you with an accurate, Biblical view of God. During this series we will be looking at some of the attributes of God, such as: His goodness, sovereignty, holiness, wisdom, justice, love, severity, and faithfulness. You will see God in a whole new light. The spiritual temperature in your life is sure to rise. Tomorrow’s message title – God’s Pursuit of Man. Get ready to meet God again…. for the first time. Time with Renae – We worked out together this morning, which I enjoyed. I’ve got to say, she SMOKED me on the bike ride. We ran, walked, and rode bikes – and she is clearly the champ on bike riding. My Plasma TV – We received our Stimulus Check from the government last week, so I decided to do my part in stimulating the economy (and Wal-Mart) by purchasing a new plasma TV. It’s 32 feet wide and 12 feet high. Sweet. Graduation from College – My oldest son is graduating from college in a couple of weeks. Thank God! The Long Days of Summer – I’m a morning person. I love getting up at daylight each morning (and normally do). It’s cool and quiet that time of day – plus it provides me with maximum hours to fill the day. I’m a hard-charger and go all day long. I like it when it doesn’t get dark until 8:30 PM. The Ministry – I love what I do and the people I do it with. 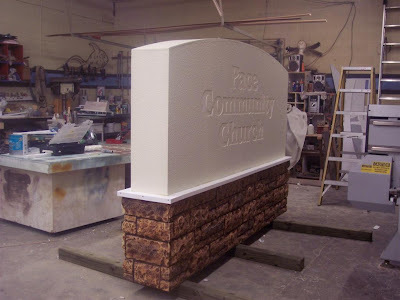 PCC – I love Pace Community Church, the people in it, and its ministries. Foundations Classess - Our summer Bible classes, (called Foundations), are great. The three teachers we have are hitting it out of the park! I am so glad these men stepped up to the plate; they are doing such a great job. Plus, I love seeing the 60-70 people who show up each Tuesday night. It's giving me a chance to meet some new people and getting to know some others better. Tuesday nights are marked on my calendar for the next six weeks. What My Critics Have Done to Me – Life is good right now. To everyone who has spoken badly about me, spread mistruths, lies, and distortions of the truth, sown discord, tried to ruin me, harm my family, and hoped to see PCC fail – I say, “thank you.” You made me press in closer to God and deepen my dependence on Him. You drove me to my knees to seek the fullness of God’s Spirit again. The trouble you brought me reaffirmed my calling – reminding me that my call to pastor PCC came from God, not you. I am stronger in that calling than ever before. And for that, I am thankful. 14,000 Hits - What a Mystery! How does a person deal with criticism if they are the target of it? I never enter into a debate by e-mail – even if I am tempted to do so. The debate never gets settled – it just goes on, and on, and on - plus I’m not interested in becoming someone’s on-line pen-pal! Have you ever heard of Korah? He was Moses’ chief opponent after the Hebrews left Egypt and were traveling in the wilderness. It seemed every time Moses turned around Korah was leading some type of complaint-campaign against him. Korah was a cousin of Moses. He felt like he had been overlooked when candidates for the office of priest were being selected. He envied Moses, and his brother Aaron, who had been put in charge of the Levites and making those decisions. He wanted to be “elevated” to the office of priest himself, and because he was not chosen, Korah led a rebellion against Moses. Korah was able to sway a group of people into his conspiracy, gathering together 250 priests from the congregation of Israel, (which, by the way, was less than half a percent of the total congregation size). They now felt bold enough to go out into the open and speak against Moses’ leadership, how he made decisions, and how he selected priests. At first Moses was considered a hero and the people wanted to make him king. They loved him while he is making demands on Pharaoh, calling for the lice, frogs, and fleas in judgment upon Egypt. But after they get out into the desert and the hot sand is burning the bottom of their feet, and they are having to drink bitter waters from Marah, they TURN ON MOSES. Moses is no longer a hero, he’s just a con-man that talked us into something that we didn’t even want in the first place. The hero has now become the villain. The congregation of Israel was in a TIME of TRANSITION, and the changes were too much for some of them to handle. They had left Egypt, (the only home they had known for the last 400 years) and were now traveling into the unknown. They were once slaves, but now are a free people. This meant they needed to govern themselves, choose leaders, establish authority structures, manage resources, overcome challenges, and make some tough decisions. And it's RIGHT HERE that KORAH always SHOWS UP - in times of transition. He is that backslid prophet sitting in a church pew somewhere, who is jealous of the leadership, but still has the mentality of a slave. He wants to be chosen as an "elder." But when is he overlooked he becomes envious and leads a conspiracy. Instead of following his “own calling” he is dependent upon some “Moses” in his life to prop him up. Think about it, and make your own applications. Korah didn’t have enough faith to get himself, or his own family, out of Egypt, (much less the entire nation of Israel). But now that Moses has done it and they’re running into challenges, KORAH HAS ANSWERS FOR EVERYONE. I have met “brother Korah” in every church I have ever been a part of. I have found that “brother Korah” does not know near as much as he thinks he does. If he did he would have enough faith to move out on his own and get in the drivers seat himself for a change. Instead, Korah plays it safe from the sidelines second-guessing Moses. Make no mistake about it - this was a STRUGGLE for POWER and LEADERSHIP. Korah and his band of followers were already "princes" in Israel, "famous in the congregation" and were "men of renown" (Numbers 16:2). They served in the tabernacle. They had status, prestige, and recognition. BUT IT WASN’T ENOUGH for them. They wanted more! In spite of all they did have, they wanted to grab that which they didn't have - the office of "priest." Their conspiracy was an attempt to usurp Moses' authority so they might appoint themselves into the office - and that’s where Moses drew a line in the sand. APPLICATION - There are some people in churches, no matter how much you do for them, it's never enough. Let them serve, include them in ministry, say "yes" to every request, allow them to teach, lead, and be anointed for leadership - and it's not enough. You can give them opportunities, status, recognition, and public support - and it's not enough. Provide them with budgets, trust them with spending - still it's not enough. Share the pulpit, give titles, and empower for leadership - and still it's not enough. Make them "famous in the congregation" - and STILL it's not enough. Say "no" just one time, and they feel abused by the "dictator." Some people want control of the church, (it's mission, direction, philosophy of ministry and so forth), so they attempt to control or intimidate the pastor. Or maybe they want to be an elder, pastor, or board member - so they try to seize authority for themselves in order to gain the status they desire. There comes a time when you have to stand your ground and let the chips fall where they may. KORAH’S JUDGMENT – SWALLOWED ALIVE. It didn’t pay Korah to lead this rebellion against God's appointed leaders. 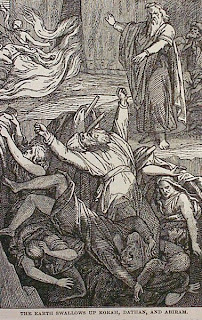 The result was that Korah and his friends were SWALLOWED ALIVE by the earth and WENT DOWN ALIVE INTO THE PIT, (Numbers 16:31-33), and the 250 princes were literally INCINERATED by God's wrath (Numbers 16:35). In fact, Dathan and Abiram's ENTIRE FAMILIES were also swallowed alive because they stood with their father's in the rebellion. But amazingly, Korah's own family was spared (Numbers 26:9-11) because they separated themselves from this conspiracy and rebellion. THERE'S A LESSON HERE – following the advice of your friends, (and even sometimes your own family members), to the point of DISREGARDING GOD'S WILL is a DANGEROUS thing to do. Korah can never lead you where you want to go. The " challenges of the desert" did not turn Korah into a conspirator - it simply revealed what he was all along. Moses' decision-making style of leadership did not turn Korah into an angry usurper - it only brought him out into the open. The New Testament makes reference to this Old Testament story, (as well as two others), illustrating for us the ATTITUDES that are TYPICAL of false teachers and usurpers – pride, selfishness, jealousy, greed, lust for power, and disregard for God’s will. Korah - a perfect example of what not to do and who not to follow. It's been an exciting summer so far with a lot of momentum. The Holy Spirit is moving in a myriad of ways - changing lives, bearing fruit, and bringing transformation. It really is a new season at PCC. Service started with moving music and vertically focused worship. Next I spoke on “Both Sides of the Cup” emphasizing the importance of cleansing the inside. Next we received communion. After communion I asked anyone who had a need in their life that they would like special prayer for to come forward. The entire front of the church filled up with those with those seeking prayer and those helping to pray – it was four rows deep. We laid hands on each other, using anointing oil as a point of contact for faith, and then prayed one for another. It was something to see God moving on people in such a visible manner. People were crying, hugging each other, trembling, and being touched by the power of the Holy Ghost. This happened in both services. In fact, the first service lasted so long that we only had a six minute break before the second service began. It let us see how numerous and varied the needs are - there are a lot of hurting people. Man, the privilege to help hurting people never ceases to amaze me. In demonstrated (in an additional way) how the Holy Spirit is at work in people’s lives, and within the ministry of PCC. A lot of healing took place at the altar today. It confirmed to me that “faith” is alive and well in the hearts of God’s people. All those people were responding to the invitation of God – not man. People are looking for more. I was left in wonder of God – again. Attendance in the second service was up 33% today – on a holiday weekend of all things. Go figure. It has always astonished me how some people take the whole summer off from church – then come back in the fall. Can you figure that out? Fortunately for us, that is not the norm at PCC – attendance has been actually growing this summer! Yes, in a church of our size we deal with a lot of families involved in summer travel (vacations, etc), each Sunday, but when they’re home they are in church. It’s got to be a God thing. If you miss a Sunday at PCC, you never know what you might miss out on. The unexpected is sure to happen. The children received communion today also – in their ministry area. The teens remained in the adult service today to receive communion. “And my speech and my preaching was not with enticing words of man’s wisdom, but in DEMONSTRATION of the Spirit and of power: That your faith should NOT stand in the wisdom of men, BUT in the POWER of God” (I Corinthians 2:4-5). A MOVE OF GOD is taking place at PCC.